This coral atoll is composed of four islands placed side by side, which mark a wide inland lagoon, characterized by a vivid green colour, whence the name of the island comes from. Aldabra is one of the world’s largest atolls for the extension of its land areas; a natural treasure belonging to humankind, and declared a UNESCO Human Heritage in 1982. 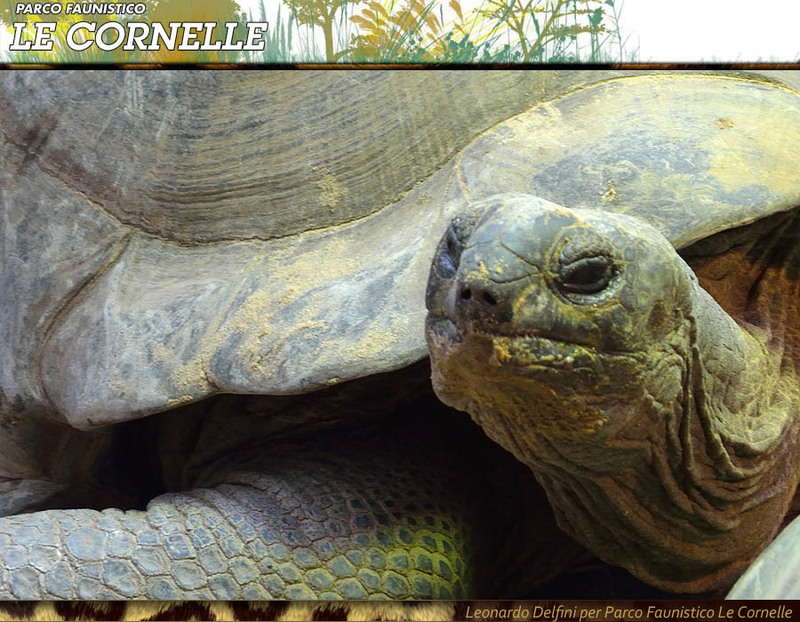 The Aldabra coral atoll reached world celebrity for the presence of the Seychelles Giant Tortoises (Geocheleone gigantean). 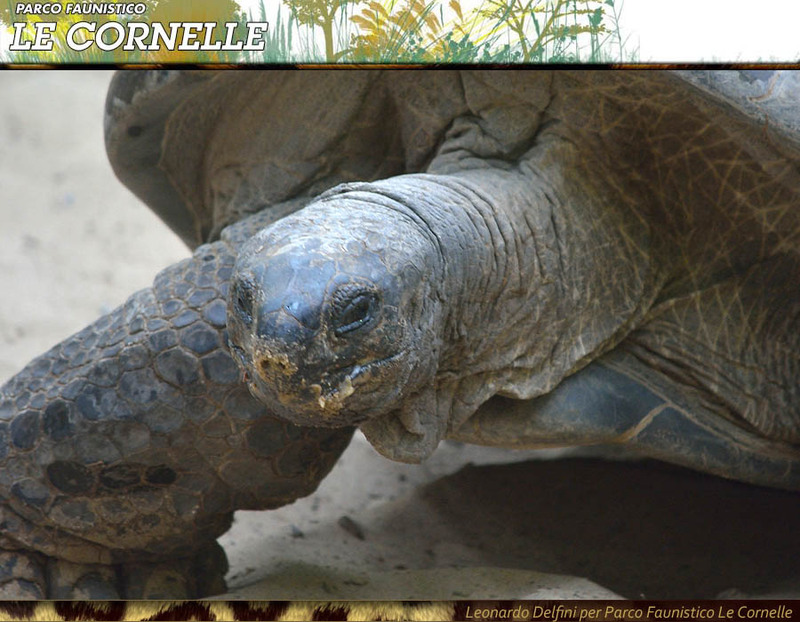 The Seychelles tortoise can be considered as a fundamentally important species for the safeguard of the ecosystem it lives in. 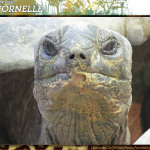 On the Aldabra Island, as well as the giant tortoises, many other endemic species can be found. They need the direct action of these ancient reptiles for their survival. 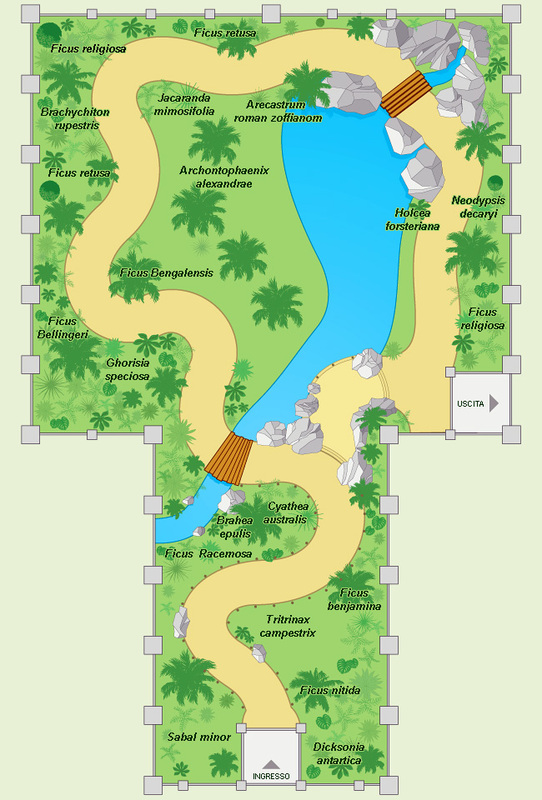 In fact, about twenty types of plants have to make their own seeds “pass through” the digestive system of the land tortoises, in order to germinate. 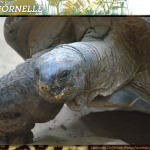 We can therefore save an entire and unique ecosystem by safeguarding the Seychelles tortoises. Originally present in the whole Seychelles archipelago, this species of reptile died out because of the direct action of human beings. The only exception of survived examples can be found only in the faraway and less-accessible Aldabra Island, which allowed this ancient reptile – survived from the dinosaurs’ extinction – to live until now. 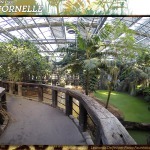 The tropical nursery present in the Parco Faunistico Le Cornelle named ALDABRA Island, covers an about 1000 square meters surface. Inside the nursery, we recreated the typical Seychelles setting, with its classic greenery: a verdant forest, rich of many tropical essences. Among the trees, we can admire majestic examples of palm tree, ficus and pandanus. 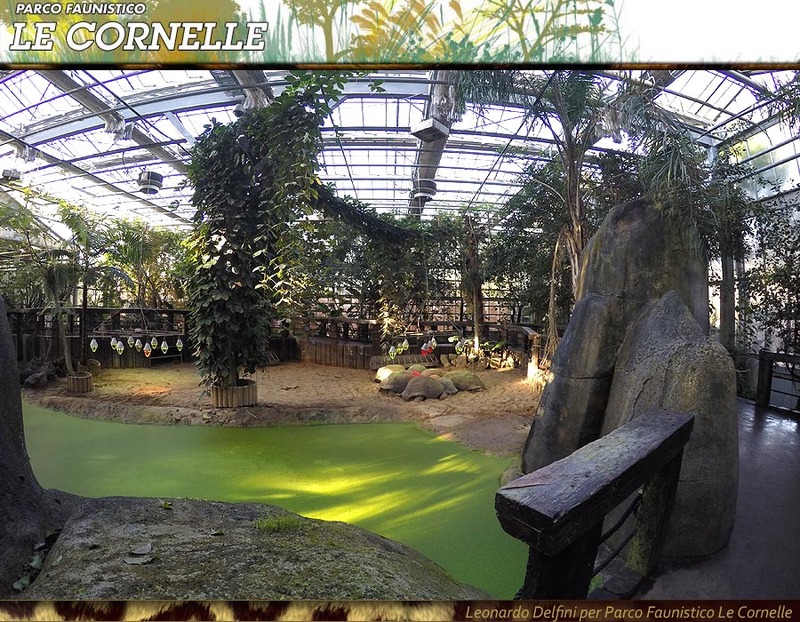 In the Isola di Aldabra area in the Parco Le Cornelle, we can also admire other small typical exotic animals. 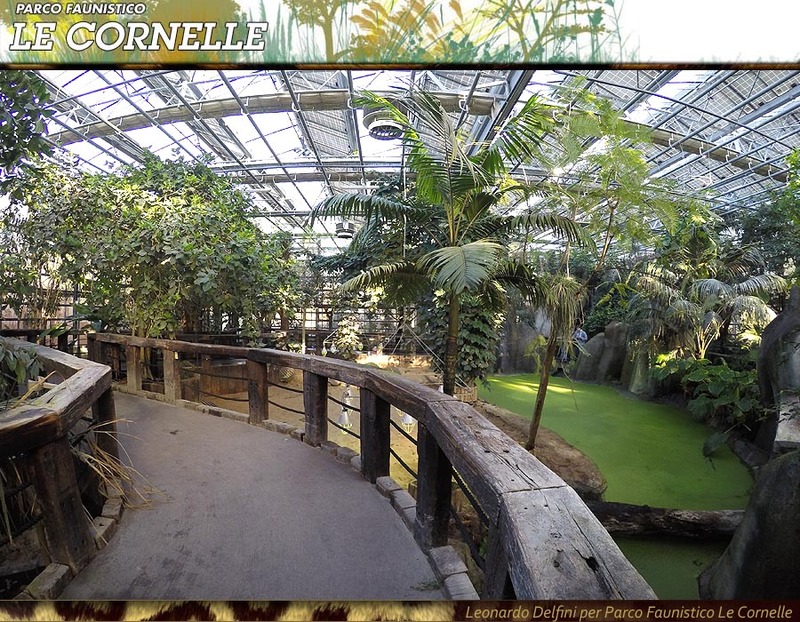 The examples hosted in the park do not come from the natural reserve of the coral atoll. In fact, private citizens in the other Seychelles islands, where the land tortoises died out because of human intervention, kept them in captivity. Local people have the custom of giving a tortoise as a gift for each newborn baby in order to guide the child’s growth. 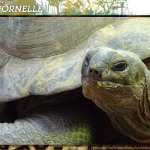 Consequently, many family keep giant tortoises in henhouses and courtyards, breeding them as pets. 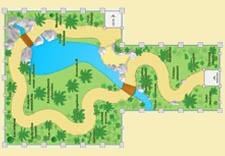 The tortoises in the park and the tropical environment richly recreated have therefore the fundamental purpose of making visitors aware about the importance of protection and respect for such unique, precious and enchanting places. 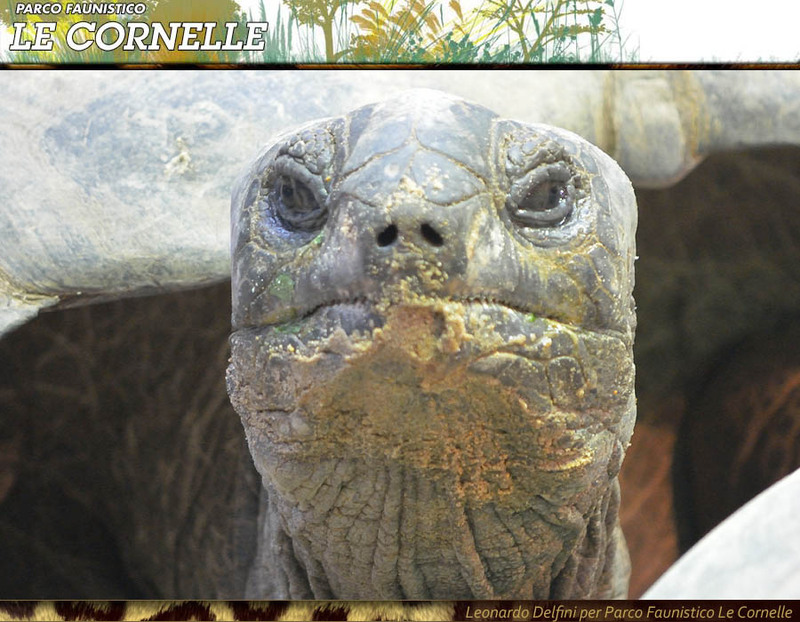 The precious role of the tortoises in the park is fully supported by the Seychelles government, which fully shares the realization of this unique project. This species can reach 300 kilos, and it is the typical example of insular gigantism. 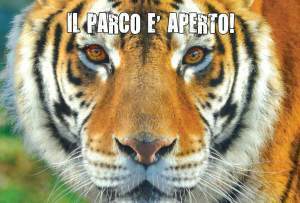 In fact, the environment they live in is void of causes of growth inhibition (like predators or animal competitors). 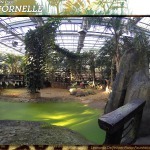 The tropical nursery present in the Parco Faunistico Le Cornelle named Isola di ALDABRA (ALDABRA Island in English), covers an about 1000 square meters surface. Inside the nursery, we recreated the typical Seychelles setting, with its classic greenery: a verdant forest, rich of many tropical essences. Among the trees, we can admire majestic examples of palm tree, ficus and pandanus.